Ohm Force has released a new version for Symptohm Melohman, the Performer Edition, available for MacOS 8, 9, and OS X as VST, AU and RTAS plug-ins. 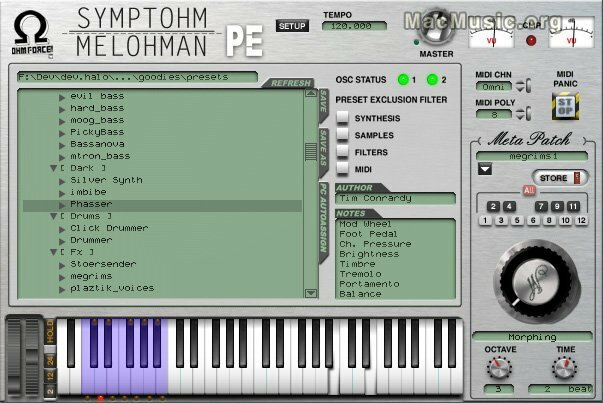 Melohman Performer Edition is the low-cost version of the virtual synth Symptohm. A new funky skin is also available for the full version and a sound content update too. Melhoman Performer Edition costs 49 euros and a demo version is available.